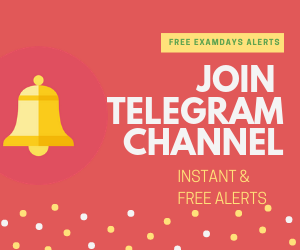 January Current Affairs 2019 PDF: Current affairs are listed in monthly wise pdf for Examdays Users, those who are preparing for various examinations like RRB, UPSC, SSC, PSU, IBPS, Other bank examinations, and where ever it required. Candidates have to use these current affairs. As of now, February 2019 current affairs are listing below with PDF document. These January 2019 Current affairs PDF helps for the Current Affairs section (National & International). Download January 2019 PDF document from below. Useful for RRB, SSC, PSU, IBPS, UPSC. National Voters day: Jan 25th. Five years of National Action Plan to address the issue of Drug abuse. Name of the Scheme: Pradhan Mantri Sahaj Bijli Har Ghar Yojana’ (Saubhagya). Project Cost: Rs. 16, 320 crores. Aim: Establishes a multifaceted U.S. strategy to increase U.S. security, economic interests, and values in the Indo-Pacific region. Name of the communities: Koch Rajbongshi, Tai Ahom, Chutiya, Matak, Moran and the Tea tribes. Khelo India Khelo Games held at Pune and Maharastra won the title. Arunima Sinha 1st Amputee women to climb Everest. Novak Djokovic wins Australian open for the 7th time.